Sun protection just got more stylish! 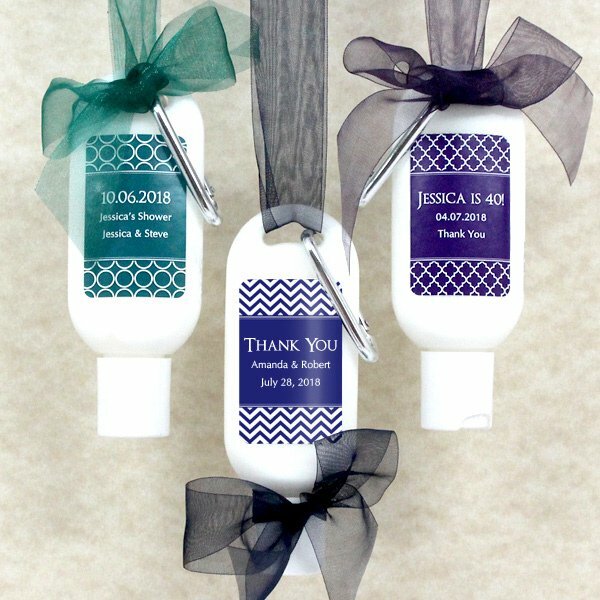 Personalize your special day with first-class, useful wedding favors that your guests will love. 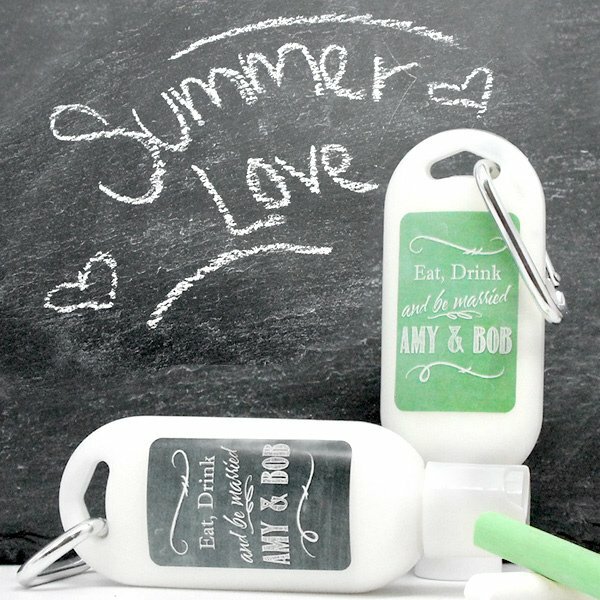 Perfect for summer parties, beach events and destination weddings, each eye catching container is perfectly sized for travel and is attached to a convenient carabiner clip. 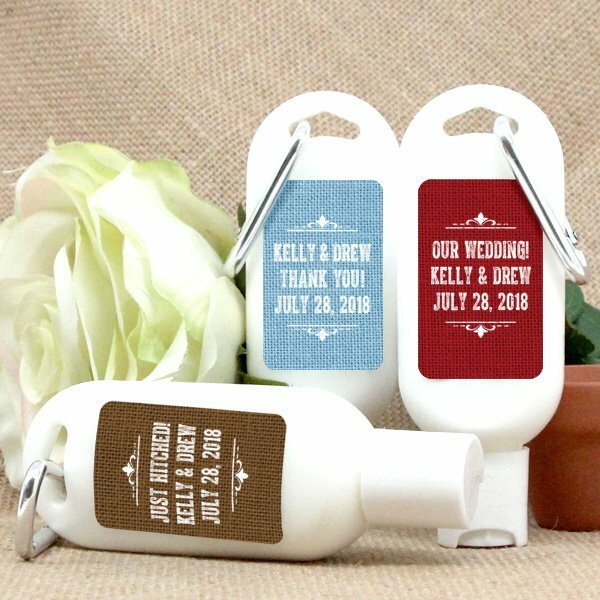 We fill each of these personalized sunscreen wedding favors with 1.5 ounces of fresh, tropical scented SPF 30 sunscreen enhanced with natural ingredients like Organic Aloe Vera, Vitamin E and Sunflower Oil to soothe and nourish sun-exposed skin. Bottle measures 1.75" x 4.5". PABA free. 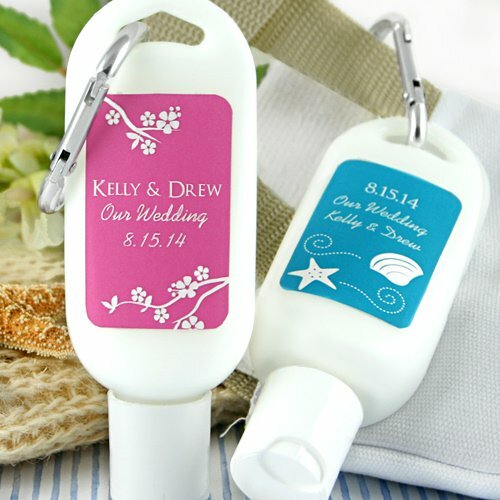 Choose from a variety of stunning designs along with 3 lines of text to create fun beachy wedding favors. 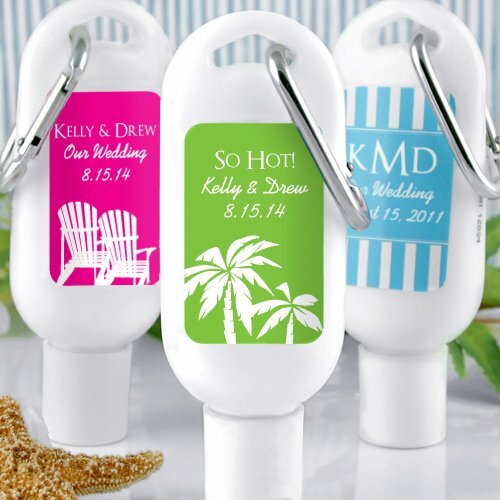 Can I change the font on any of the designs for this personalized suncreen? We unfortunately can’t change the fonts beyond the designs indicated above. The font was chosen specifically for each design, and tested multiple times, with multiple colors, to make sure it looks great when it's printed. Unfortunately, we're not able to do custom designs either.